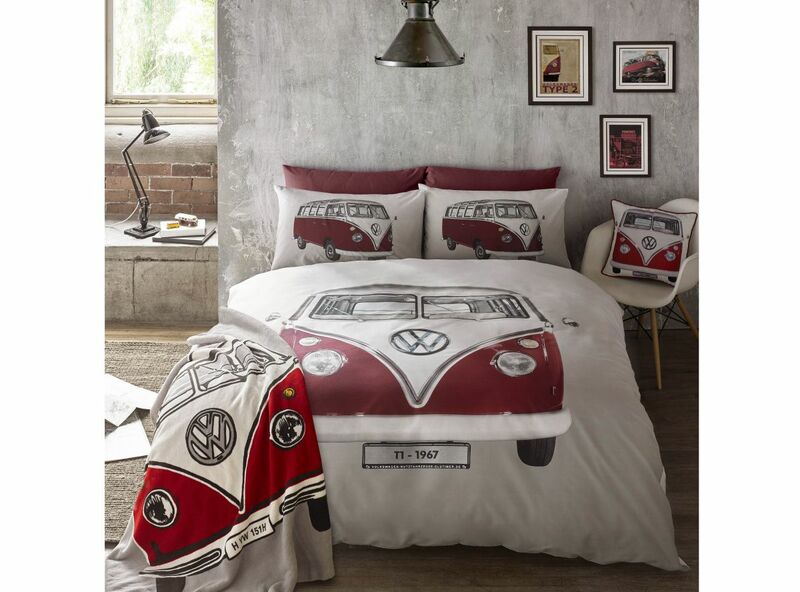 Instantly recognisable and utterly unmistakeable, the Volgswagon on Tour duvet cover set features the classic VW T1 Campervan. The iconic design is put to great use, with a bold and bright image that is perfect for lovers of VWs or of classic design. Certain to brighten up any bedroom, this set is an eye-catching statement piece which looks especially good with the matching throw and cushion.